Welcome to the waterside oasis known as Eagles Cove Resort and Marina. The resort offers cabin sizes varying from two bedrooms to six bedrooms and can accommodate up to twelve adults comfortably. 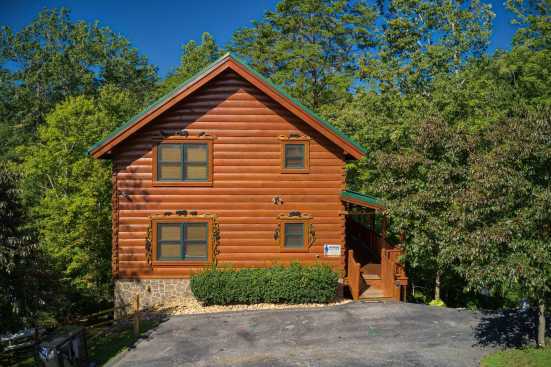 Amenities in these cabins include fully equipped kitchen, large outdoor deck with hot tub and incredible nature views, satellite tv, and proximity to Dale Hollow Lake. When you arrive at Eagles Cove the first thing many guest notices is that your cabin is located directly on the lake. We at SMBYO.com suggest you hop into the hot tub on your deck and relax as you take in the lakeside views. After winding down in the hot tub head just up the street to the marina located on the resort grounds and rent a boat for a day of fun. Imagine zipping around the lake in a speedboat or calmly cascading across the lake with all your friends and family on a pontoon boat. The area surrounding the resort is also known to be flush with many unique boutique style retail locations which specialize in a variety of handmade goods. SmokyMountainsByOwners.com is the best and most efficient way to find, plan, and book your Dale Hallow Lake vacation. From days spent zipping around the lake in speedboats to days of retail shopping in the surrounding areas, relaxation, fun, and adventure are around every corner. SMBYO.com aims to take the hassle and stress out of planning and booking your getaway, so all you must do is decide if you want to head into town for some retail therapy or hop on a speed boat and zip around the lake. Book now, and see if you can keep up with us on the water!